We are at Baildon Farmers Market, Horsforth Farmers Market, Meanwood Craft & Farmers Market, Ilkley Real Food Market and Oakwood Farmers Market every month, as well as Briggate Farmers & Craft Market on the first and third Sunday of every month. We also attend other markets, food festivals and events as and when! Please note all markets are subject to change or cancellation so be sure to check back regularly or keep an eye out on our instagram, twitter and facebook where we post weekly updates! You can also buy our bread from one of our Stockists or Bread Shops. 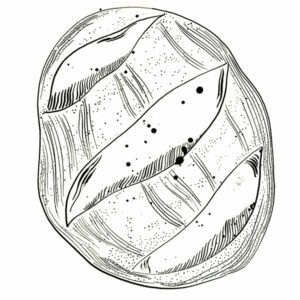 Or if you want a regular weekly loaf, try our subscription scheme!